Community gardens have always brought entire cities together and have improved the quality of life. We are aiming to take all of these advantages and improve upon them to better help the city of Lowell with its access to fresh produce year round. First, planting and harvesting can be done year-round meaning much more produce, especially during the off-season when it is most difficult to grow and buy. It also allows many more residents to have an opportunity to grow due to the increase in harvest cycles per year compared to the one or two with conventional gardening techniques. 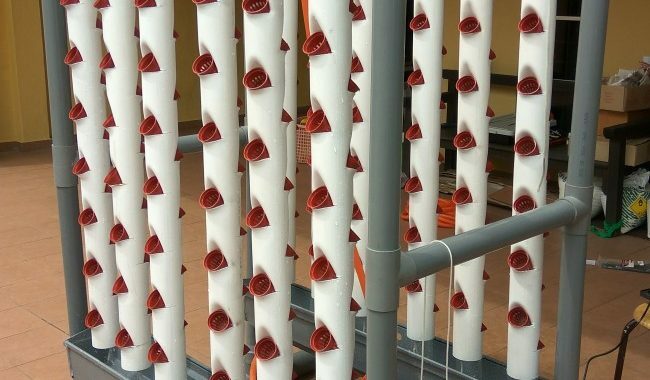 Second, the vertical design of the hydroponic system will allow for many more plants per square foot. One family could grow more produce with one tower than they could with a 10 foot garden bed while taking up 1/10 the space. This allows for much more accessibility without taking up a lot of land. Last, the hydroponics allow faster and healthier plant growth while also being more sustainable than conventional gardening.